To be honest, you've pretty much got it there. She has done a lot of work for the Inquisition but never really as an active field agent (and to be honest many of those projects were under secondment or joint cooperation). I just hadn't noticed that Dreki had had so many years experience under the Inquisition. Yeah. I wasn't initially sure exactly what I thought about Dreki having worked for the Inquisition since 9, but I could certainly see an immoral Inquisitor recruiting young orphans - who'd picture a 10 year old as an Inquisition agent? And who cares if they die horribly? Orphans are ten a penny. Postage, and I'm currently shattered so it looks dreadful but to be honest I'm just glad that I can get back onto the Conclave at all. It kept refusing to load since about 7:30 last night. 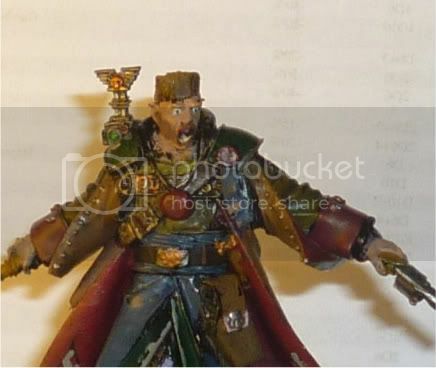 Guys I'm moving house and I have an apocalypse tournament for 40k this weekend, that coupled with my current work load I'm not going to be able to write out a post until early next week I would think. Feel free to push Dreki along I will keep up with the story. Sargoth and I are Facebooking each other; he's having extreme problems getting onto the Conclave, never mind posting. I have no idea what's causing it, but it's the same problem I had during the week. Any advice I can pass on to him on what he can do would be appreciated. Due to my recent problems, I've got a nice post for Lina... unfortunately from when everyone was standing around in the skyhook. It's got no dialogue but outlines her pretty well and has some important information for y'all. What to do? Flashback / add to it now that folks are on the surface? Double-section? As you've all seen I've posted IC at last. Went for a double-post. Hopefully I've shown you how Lina perceives the world nicely and given you all some nice plot-info, courtesy of Necris. You may have noticed how Lina doesn't speak much in absolutes - she seldom says things like 'I can' when she could say 'I probably could', partly due to having an emotionless scientist-mind in her head and also because she's not very self-confident. She is young and socially awkward at best, after all.